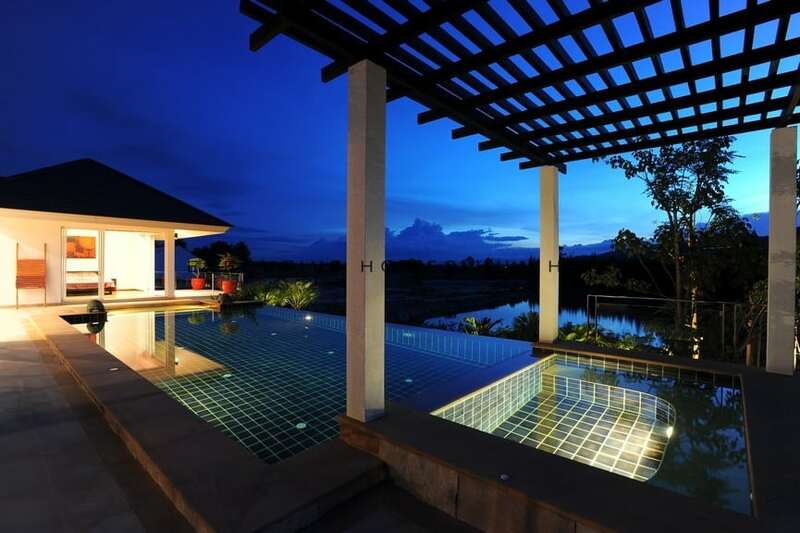 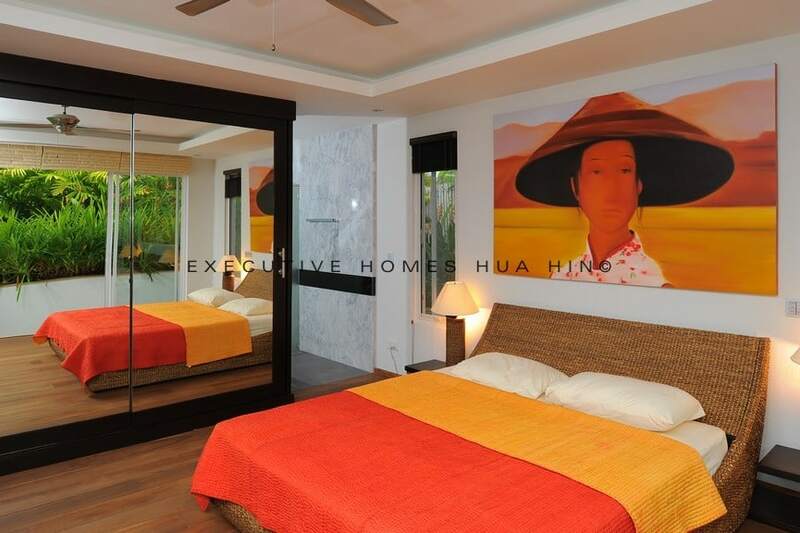 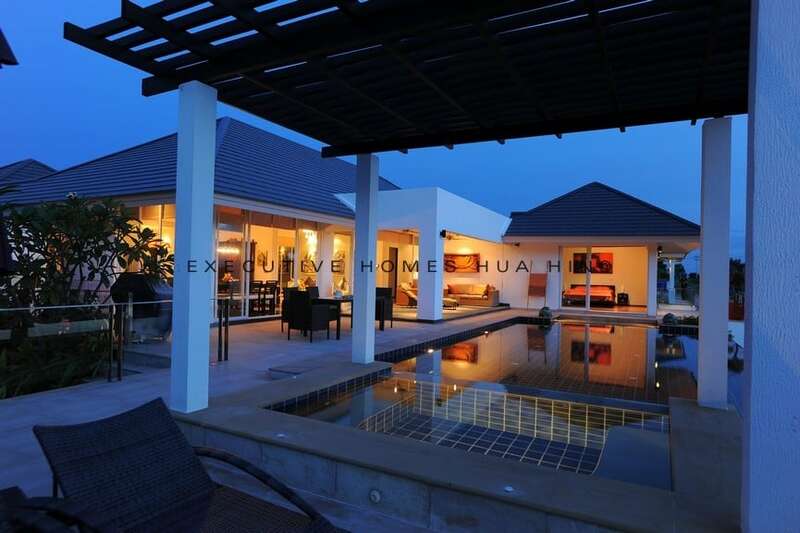 Are you looking for top-end Hua Hin Real Estate For Sale? 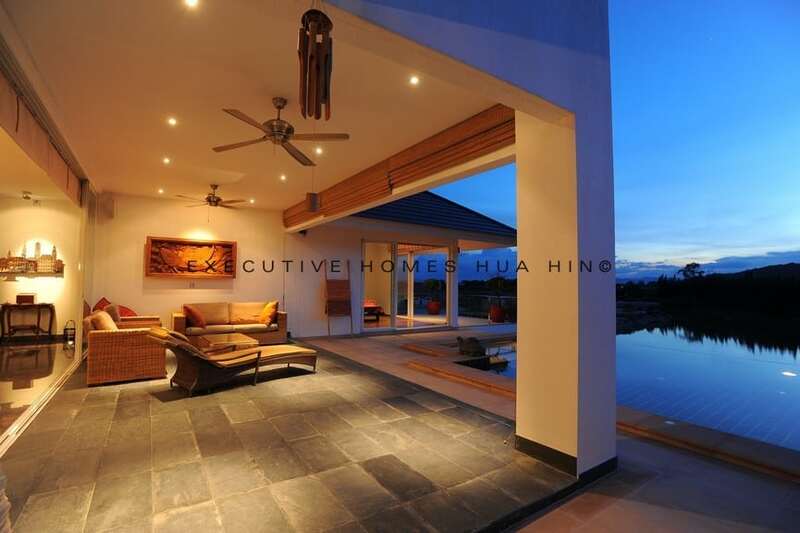 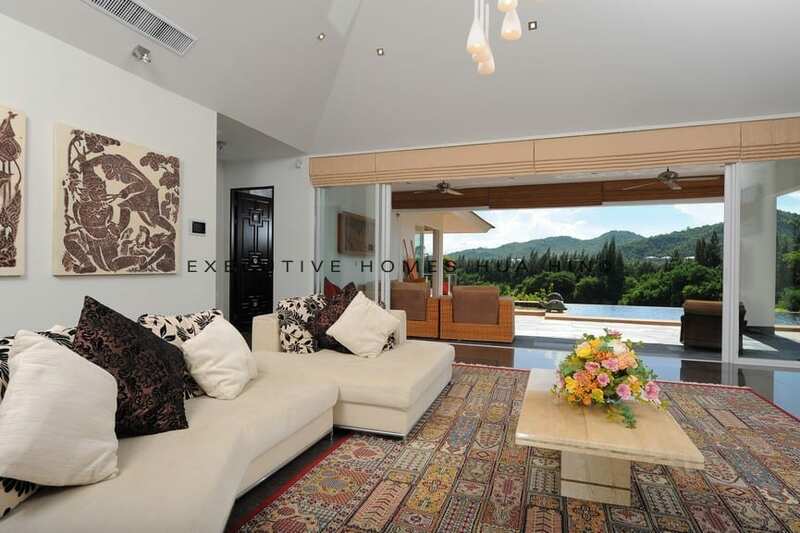 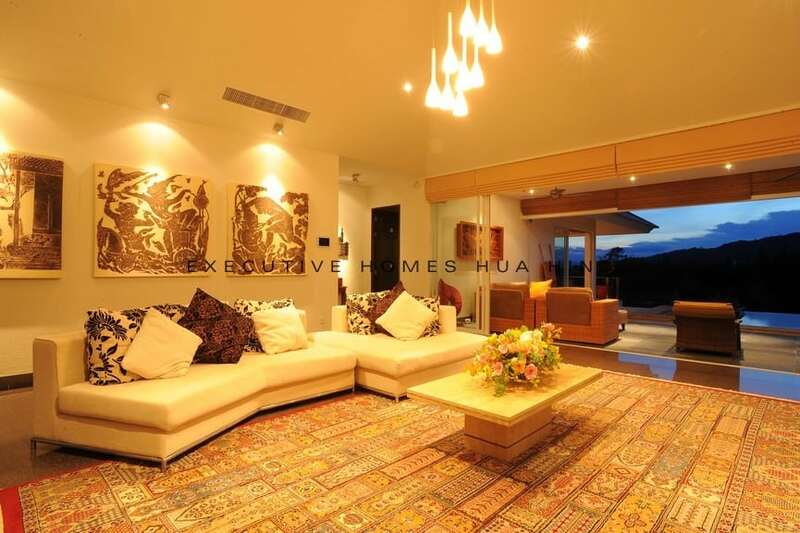 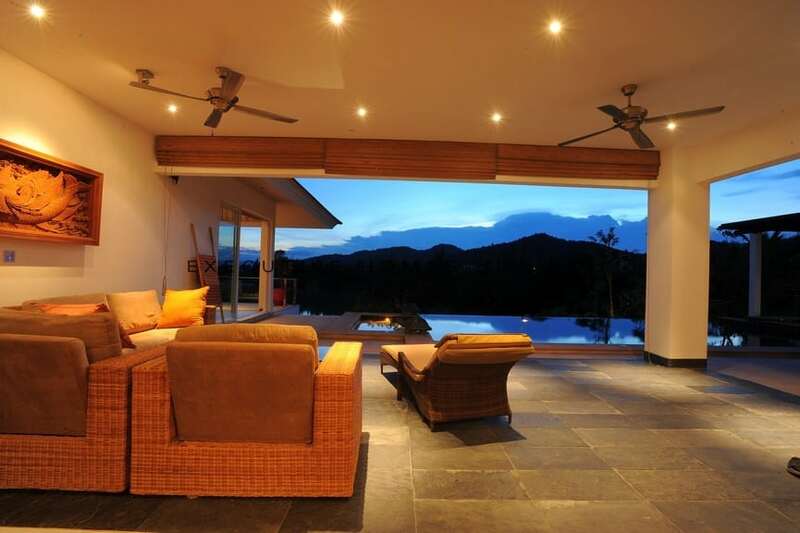 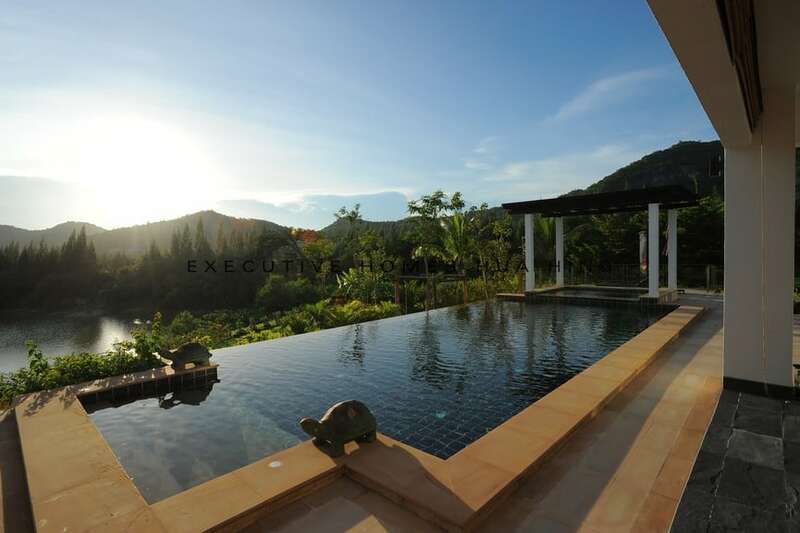 This pool villa is located in one of the most exclusive developments in the area. 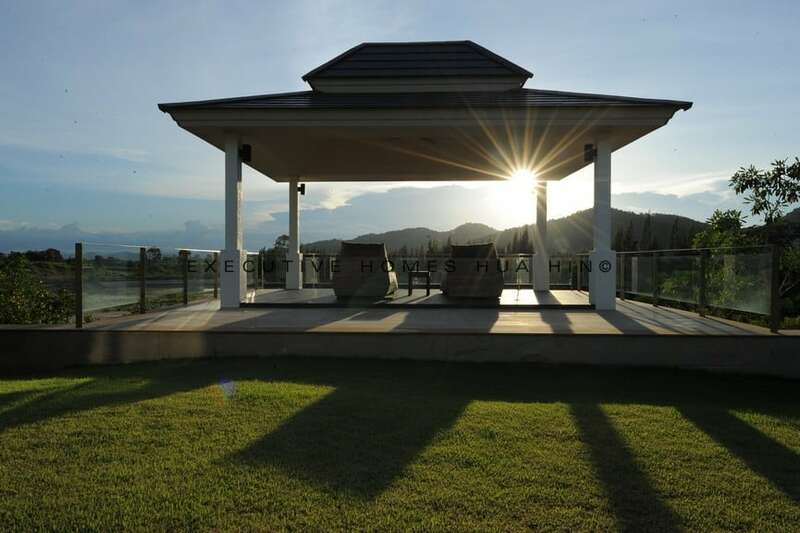 The area offers stunning views of the Black Mountain granite mountain range as well as Asia’s premier Black Mountain Golf Course fairway. 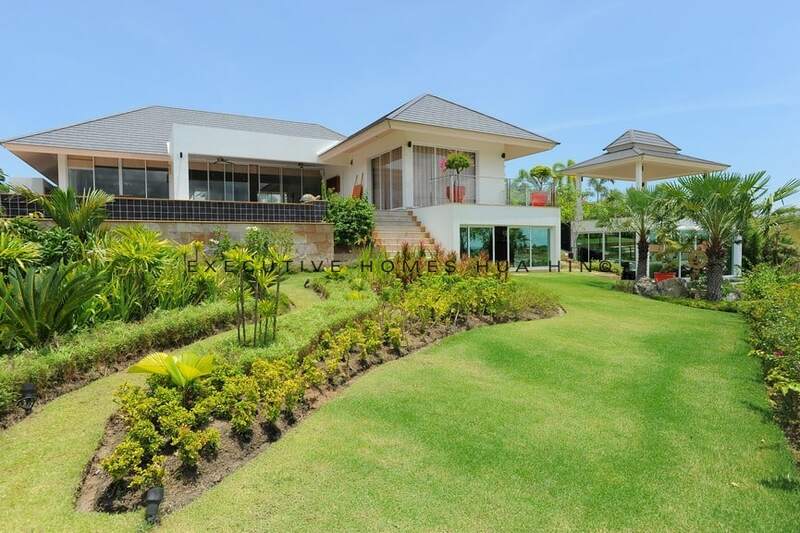 The development is located adjacent to the golf course, allowing for quick access to all of the golf course facilities (spas, restaurants, and, of course, the award-winning fairway itself). 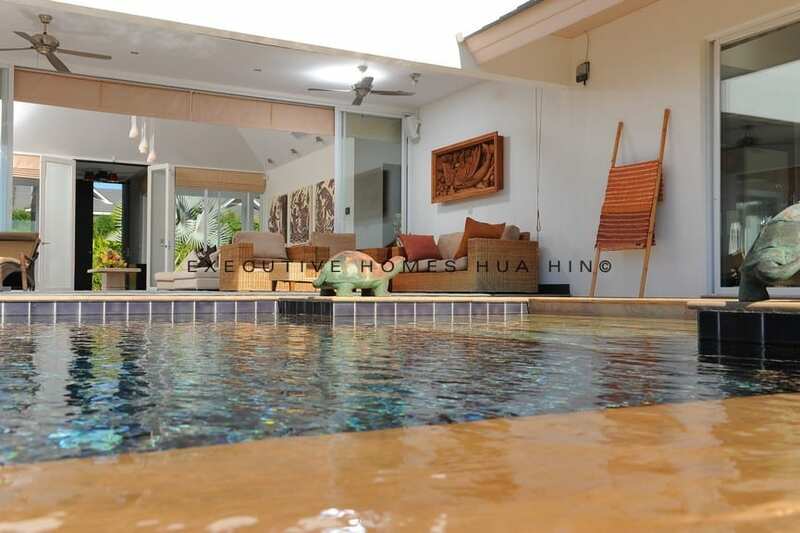 This Hua Hin home for sale offers a luxurious lifestyle surrounded by nature and lush greenery, conveniently located just 15 minutes drive from downtown Hua Hin. 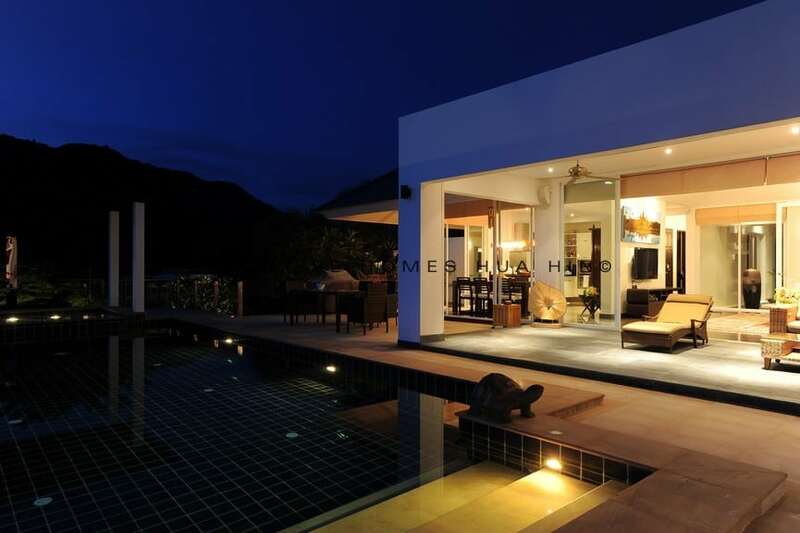 This beautifully appointed villa hase been designed with an eye toward modern design and constructed with the highest quality materials throughout. 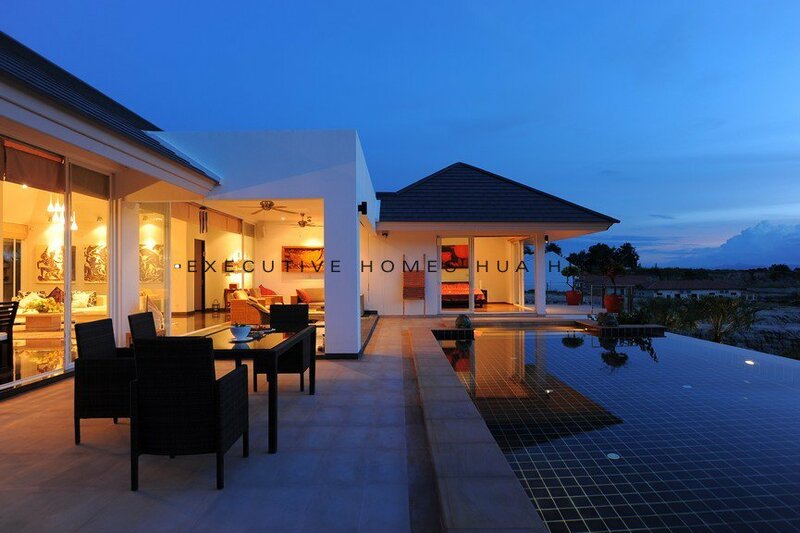 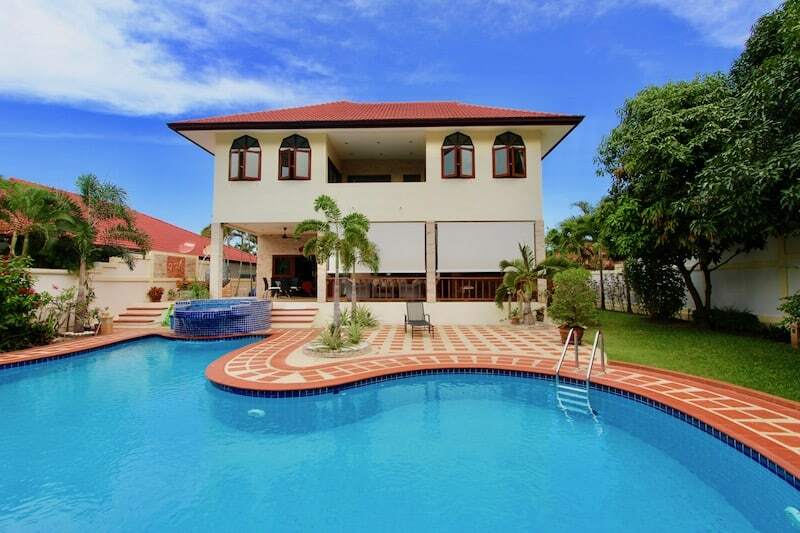 The modern style Hua Hin home for sale features 3 en suite bedrooms, a guest bathroom, and open plan living and dining areas. 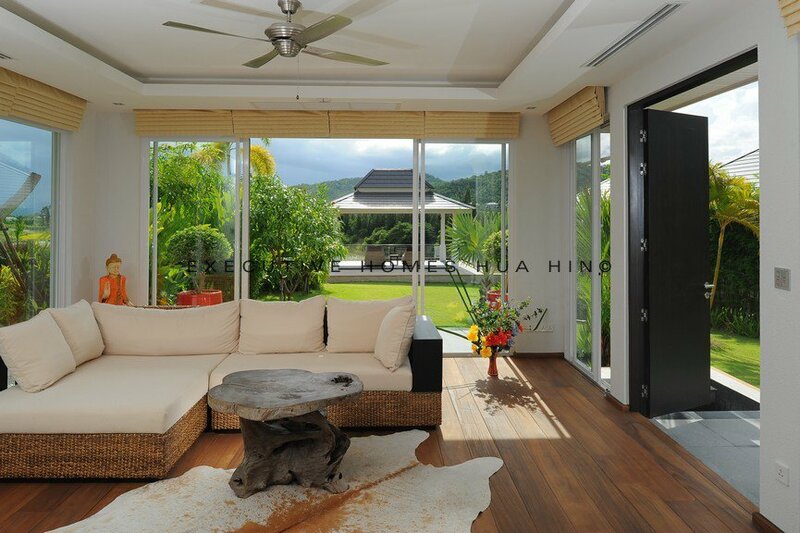 The terrace area is spacious and accommodates a full size dining table and lounge areas to take advantage of tropical, outdoor living. 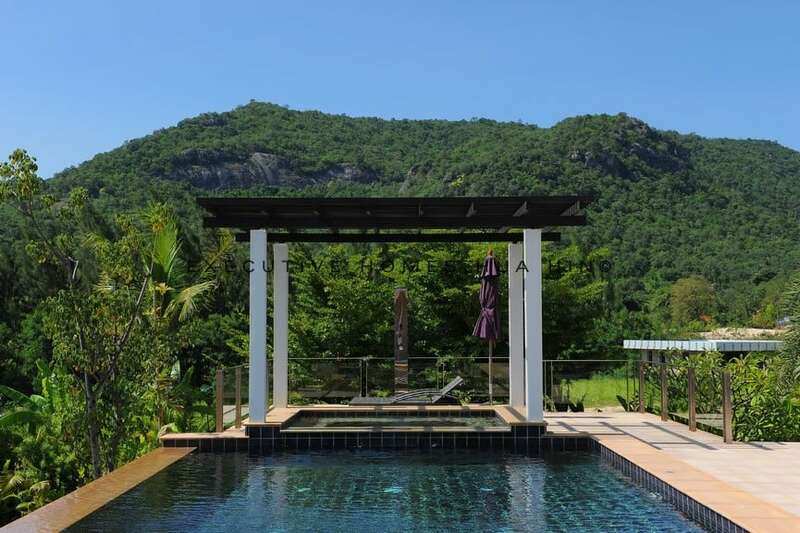 The development facilities include a well appointed clubhouse, organic restaurant, gym (with private fitness trainers), local spa, tennis court, children’s play area, 24hr security and maid services. 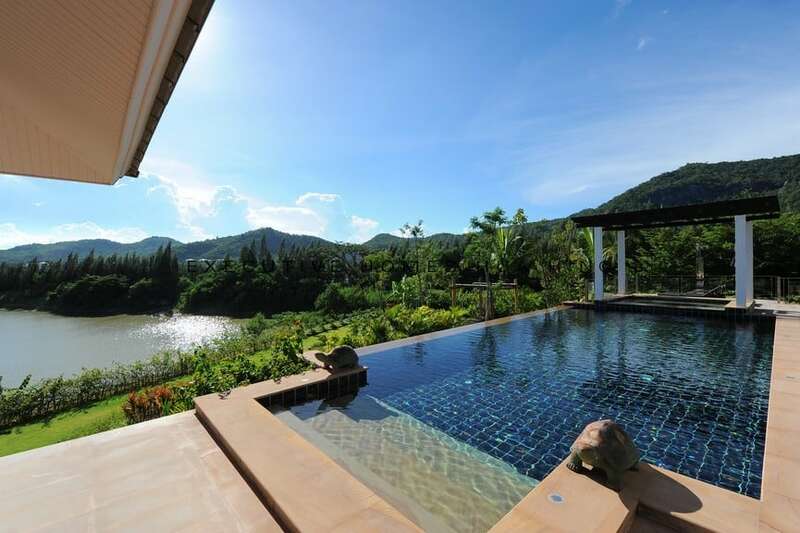 The development has recently been awarded a premier development with Thailand’s coveted property awards.